In his Budget reply speech last year, Opposition Leader Bill Shorten announced plans to impose a cap on the amount that can be claimed for getting tax returns done by a tax agent. Shorten said Labor would apply a cap of $3,000, claiming that 48 wealthy individuals had paid an average of $1 million to get their tax done in 2014-15, as a result of which they managed to get away with paying no tax. Accountants Daily understands that there will be a carve-out for individual small businesses with an annual turnover of up to $2 million. The Tax Institute’s senior tax counsel Professor Robert Deutsch has labelled the proposal as “outrageous”. 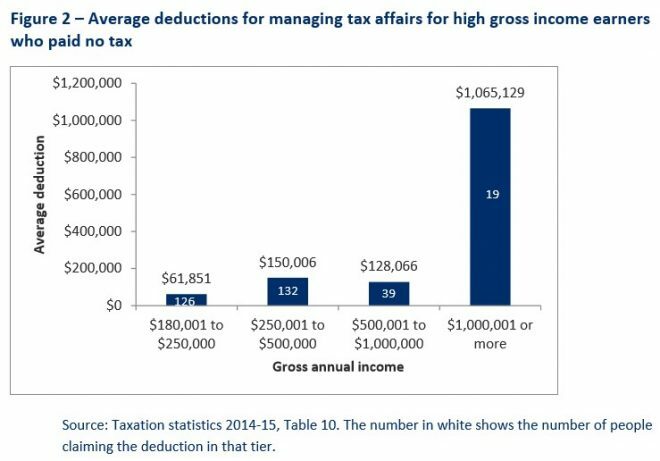 High income earners who have managed to reduce their taxable income to below the tax free threshold deduct even more for managing their tax affairs. 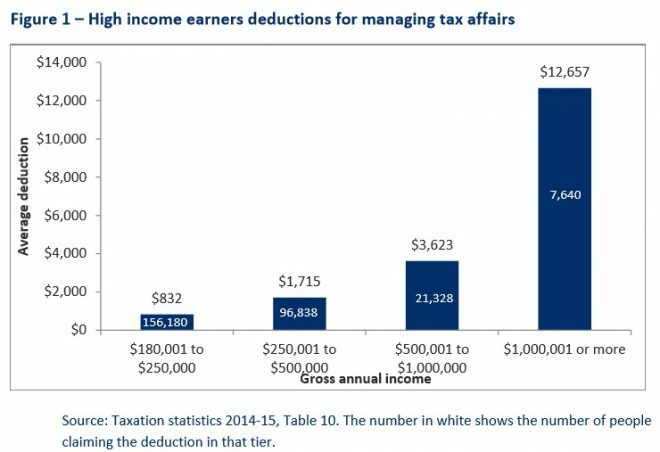 These high income earners have found deductions that are large enough that they do not pay tax. 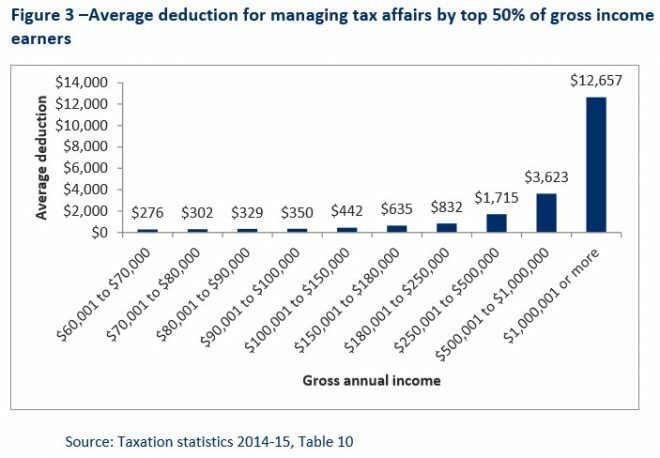 If we look at the top 50% of tax payers by gross income we see that people in most income brackets deduct very little for managing their tax affairs. It is only those on very high incomes that claim considerable amounts. Therefore, Labor’s policy appears to be a policy no-brainer.